Vasyl Lomachenko-Guillermo Rigondeaux close for Dec. 9 in N.Y.
LINCOLN, Neb. — One of the best fights that can be made in the sport is close to fruition. Top Rank CEO Bob Arum told RingTV.com on Saturday, moments after Terence Crawford knocked out Julius Indongo, that Vasyl Lomachenko will return December 9 in New York. Lomachenko’s return is slated to take place at the Theater at Madison Square Garden and be televised on ESPN. Two fighters have been in the running for weeks: Orlando Salido, who owns the only professional victory over Lomachenko, and Guillermo Rigondeaux, the 122-pound ruler who is rated No. 6 on THE RING’s pound-for-pound list. Arum declined to divulge the opponent, but said that a deal is done. 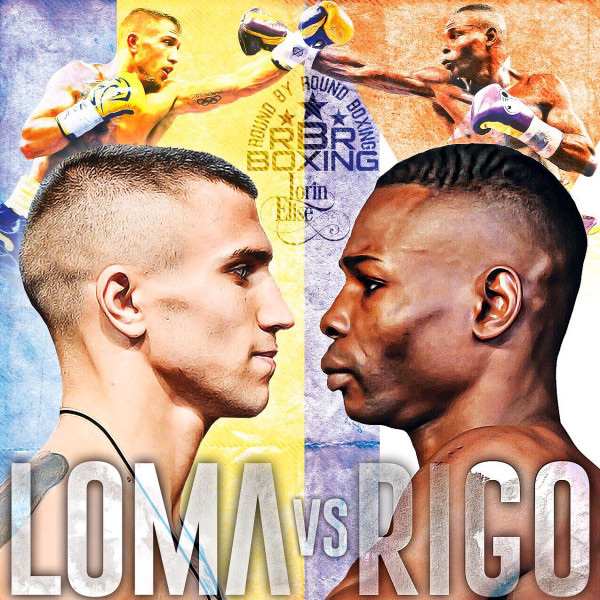 Multiple sources told RingTV.com that Rigondeaux and promoter Roc Nation Sports are close to finalizing a deal to match Rigondeaux against Lomachenko (9-1, 7 knockouts) in a bout for the Ukrainian’s WBO 130-pound title. Rigondeaux (17-0, 11 KOs) would move up eight pounds for the opportunity. They’re also two of the best fighters in the world, period, with Lomachenko ranked only one slot ahead of Rigondeaux on THE RING’s pound-for-pound list at No. 5. “It would be a historic milestone in my professional career,” the 85-year-old Hall of Famer said about the potential matchup. “It’s never been done before: Each of them winning two gold medals, fighting each other, is something special. That will be remembered in history. Rigondeaux, the former RING junior featherweight champion, has found trouble securing marquee fights due to the high risk he presents, yet little reward he brings to the table due to his safety-first style. He was once promoted by Top Rank, and scored his career-best victory with Arum and Co. in a 2013 fight with Nonito Donaire. The Filipino was the reigning fighter of the year, and also was ranked in the top 5 of pretty much every pound-for-pound list. But Rigondeaux had no problem with him, save for a 10th-round knockdown, and cruised to a wide unanimous decision. Rigondeaux, 36, followed up that performance with a dull unanimous decision over Joseph Agbeko, and soon after, Top Rank parted ways with the southpaw, and HBO shunned him from their airwaves. He’s fought just five times since the Agbeko fight, but none have come against a name opponent. Rigondeaux scored a first-round KO of Moises Flores in June, but the result was later changed to a no decision because the punch landed after the bell. Lomachenko, on the other hand, is rising like a meteor through the sport. Since a decision defeat to Salido in his second pro bout, he’s dominated the competition, most notable with a comprehensive decision over Gary Russell Jr. After a few defenses at 126 pounds, Lomachenko moved up and won a title at 130 with a KO of Rocky Martinez. But since the Russell fight, his competition hasn’t been able to test him. That should change December 9 if all goes according to plan and Rigondeaux gets the call he so desperately has lobbied for on social media.